"Stop. Drop those thoughts. Breathe. Be still. Just be." Tolle, who rocketed to fame after his appearances on the Oprah Winfrey Show, explains to us in his best-selling books, A New Earth and The Power of Now, that the ultimate path to inner peace is available to all of us, and at any time. All we have to do is let go of all our thoughts. 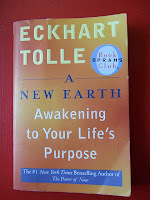 But this thinking is nothing new, and even Eckhart Tolle understands that. 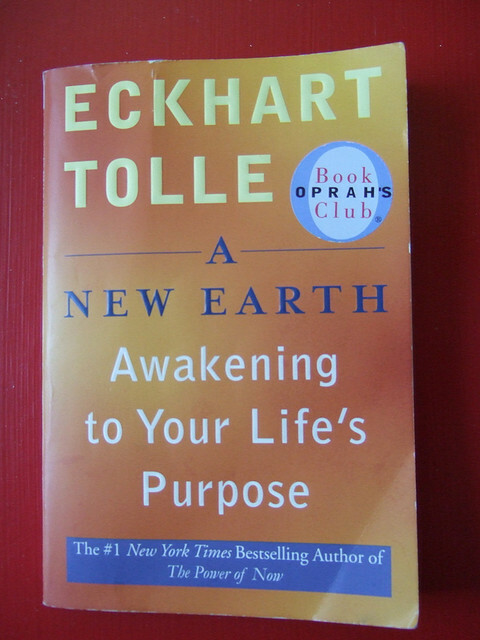 Tolle was born Ulrich Tolle, but later in life took the name of "Eckhart" in honor of Catholic mystic Meister Eckhart, one of many mystics throughout the ages who have championed this idea of inner-peace-through-mysticism. Tolle himself is a modern day mystic, determined to bring this message of inner peace through mystical practices to the masses. But can this methodology bring peace? In practical terms, what happens after a person has given himself or herself a little "mental spa treatment," à la Tolle's prescription? They've got to come back to reality at some point. Which means, back to the same circumstances. Back to themselves. Nothing's changed, and this is why this prescription for inner peace doesn't work. A trip to the spa might temporarily lift the spirits and remove one from life's circumstances.....but in the end, it's back to same situation. And more importantly, back to the same you. Sure, when times are tough - whether it's the economy, or a troubled marriage or whatever - a little escapism is enticing. (Just ask a person who struggles with depression: oversleeping is a major symptom of depression, because sleep can oftentimes be used as an escape.) But in the end, if there is no inner change in a person, how can outer change be effected? I contend that Eckhart Tolle's prescription for inner peace, besides teaching one how to temporarily escape from life, is just another rat wheel. All false religions and cults have a rat wheel for its adherents to get on - and "works" for them to start churning out - in an effort to have peace. You see, innately, all humans have eternity written on their hearts. People instinctively know that there is a sovereign Creator God to whom they are beholden. But how to have peace with this God? That's the eternal question. Of all the world's religions, only Christianity answers this question satisfactorily. We have peace with our Maker only through the means provided by Him, by God. After all, if a Hindu or a Buddhist could achieve peace through yoga and meditation and fasting; if a Muslem could achieve peace through jihad or mecca; if a Catholic could achieve peace through the sacraments or good works, then what would be the point of the Cross? None of the practices of other religions can bring peace because all they are are man's pitiful attempts to figure out a way to have peace with God. The systems of "works" generated by western civilization may be a little more sophisticated than the system of works designed by cultures that do rain dances and sacrifice village maidens, but they're still just works. They're still just another rat wheel to get on in an attempt to assuage our consciences. To find abundance, give it away. (Jesus tells us that we will have life and more abundantly - but it will only be through Him). In contrast to Tolle's teaching, the Cross stands as a monument to the exclusivity of Christianity - and the futility of works. Christianity is different in that Christians understand that salvation - peace with God - comes only from God, through the Cross, and not from themselves. Peace comes from God reaching down to us, and never from us reaching up to Him. Scripture tells us that there is no one who is righteous, and none who seek God. Salvation is a gift from God, and comes not by works, so that no one can boast. If all other religions could make a way for peace with God through adherence to some system of works, then the New Age mantra of "All paths lead to God" would be true. But we know it is not. We know that only those who have been born again through repentance from their sins and faith in Christ's sacrifice on their behalf will be given that oh-so-elusive inner peace. A true and lasting peace, rather than a cheap kind of temporary peace that comes from generating some kind of mystical experience. Christianity offers the kind of peace that comes from knowing that - regardless of life's circumstances, - they have peace with their Maker. They won't be given perfect circumstances - in fact, often just the opposite - but what they will have is a Lord who is an ever-present help in times of trouble (Psalm 46:1), a peace that passes all understanding (Phil. 4:7), and a transformed inner nature that will enable them to truly love and give from the heart (2 Cor. 5:17, Gal. 5:22-24). Makes a "mental spa treatment" seem kind of small by comparison, doesn't it? Eckhart Tolle is seducing many Christians into New Age spirituality with his books which artfully blend liberal doses of Scripture with Universalist theology. If you or anyone you know have been lured into this apostasy, please realize that this is not biblical Christianity. True Christian faith recognizes and proclaims that there is only one way to God, and it is through Christ. And no matter how good a book may sound or "feel," if this truth is not at its core, it is false teaching. Repent, and run back to the Savior, for He is mighty to forgive.